Geninne's Art Blog: Flash Giveaway! 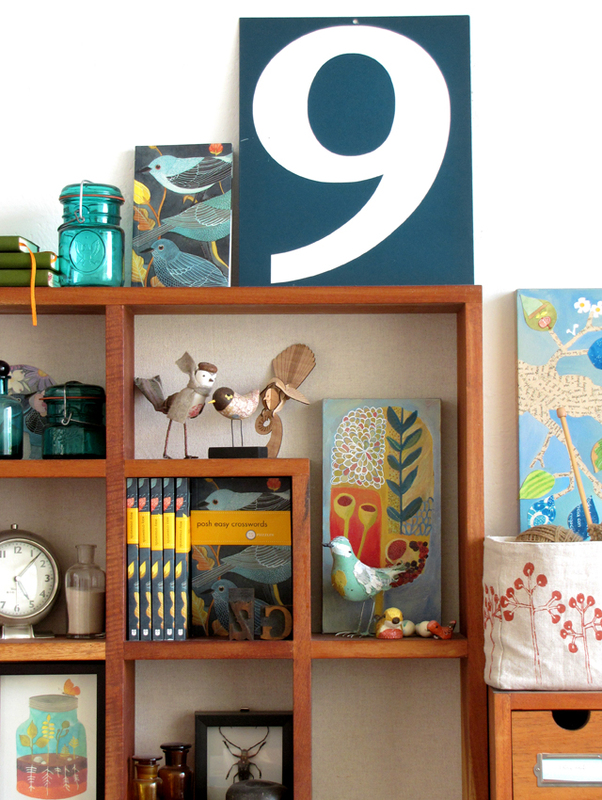 I just got that beautiful bold vintage teal metal "Nine" at Three Potato Four shop. It has a "Five" on the other side. I bought it because it's my favorite color and also because since I was a little girl my close friends and family call me "Nine"
(like "Nina", but with a short "e" at the end). I even have a cousin that calls me "Nueve" (number 9 in Spanish)! 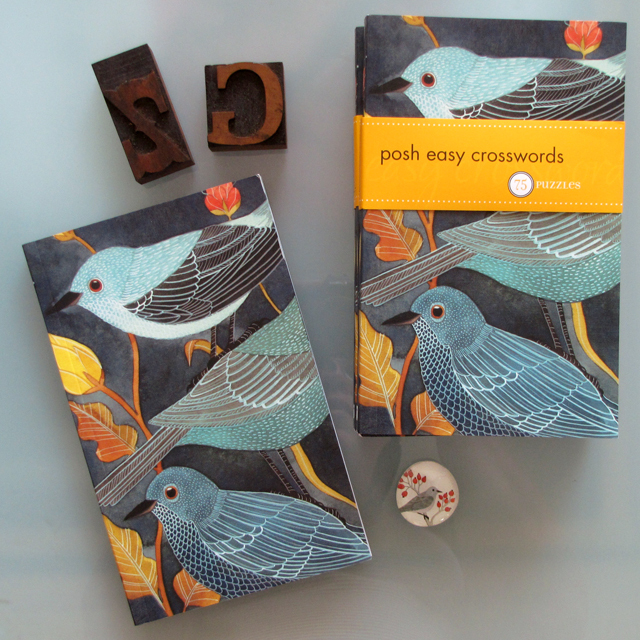 I received some copies of the Posh Easy Crosswords yesterday and I'm going to give one away with a signed print of the "Three Little Birds" they used for the cover. Please leave a comment in this post with your name & what your favorite color is. ***Comments are now disabled. Come back tomorrow to know who won!